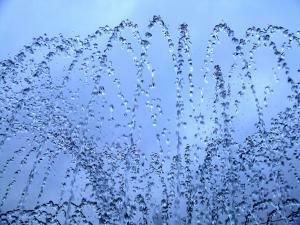 Wondering about Gaia Sagrada Ayahuasca Retreats reviews? Check out what people have to say about us and why they feel we have reputable ayahuasca retreats. Many of our guests recommend our ayahuasca retreat center to their friends and families! Ayahuasca youtube reviews can be found on our ayahuasca youtube channel and other reviews & testimonials can be found at www.TripAdvisor.Com. 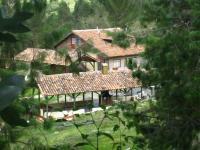 We are also a recommended ayahuasca retreat center at www.AyaAdvisors.org. Don’t forget to read the reputable ayahuasca retreats reviews people have put about us on the blogs and the written ones below, too! Check out our Ayahuasca Youtube channel where we have LOTS of audio and video ayahuasca retreat reviews and testimonials from people about their experiences with Ayahuasca ceremonies and San Pedro ceremonies, the sweat lodge, Gaia Sagrada, and more! We have lots of ayahuasca youtube youtube reviews that we are trying to get edited and put online soon, so enjoy what we have there now, as it’s always growing. You can visit our ayahuasca youtube review channel and subscribe there to know future updates with new ayahuasca youtube video. We suggest you click on the playlists and just hit “play all” on the ayahuasca youtube reviews and this way you can listen while you do other things. We are presently developing and filming an ayahausca documentary video so you can see what it is like to be at Gaia Sagrada and hear from other people what the ayahuasca experience is like. We have professional documentary experts working on this as you read this! An ayahuasca documentary (ayahuasca video) is how many people research the ayahuasca experience when they first begin to look at whether or not they want to attend an ayahausca retreat. If you come, you are welcome to participate in our ayahausca documentary (and our shorter ayahuasca videos) and offer your perceptions on your ayahuasca experience! An ayahuasca documentary is going to give you an opportunity to look into what an experience with ayahuasca is going to be like, but no ayahuasca video can really tell you what the full experience is like. An ayahuasca experience is indescribable with words. So keep an eye out for our ayahuasca documentary and our shorter ayahausca video offerings that are coming soon! We hope to portray a little bit more what the ayahuasca experience is like. You will love our ayahuasca documentary. We promise! “We stayed at Gaia Sagrada for 1 and 1/2 months and had a great time. The property and surrounding area are gorgeous; it’s a perfect setting for relaxation and healing. We stayed in an apartment which was very comfortable and all the buildings there are beautifully built. The kitchen is great and they have top of the line machines. “There’s so many good things I could say about Gaia Sagrada that its hard to put it all into words. I had been reading about ayahuasca here and there since 2008 but never thought I would ever actually go do it. When I booked the trip I was in a deep, dark depression before coming to Gaia. I felt as though I was at the end of my rope and spent my days living in isolation with constant anxiety and PTSD because of recent events that happened in my life over the past two years. I found myself getting worse and worse by the day so I knew it was time to finally go and try ayahuasca. Mother ayahuasca was definitely calling me!! Now I can’t imagine what my life would be like if I hadn’t come to Gaia. This trip literally SAVED MY LIFE! I am no longer depressed. I feel fresh, recharged, free and weightless from the burdens that were troubling me on a daily basis before coming. And I felt this way after only one ayahuasca ceremony and one san pedro ceremony. It still has me in amazement. …and 100’s more testimonials and reviews of ayahuasca retreats at the links above!